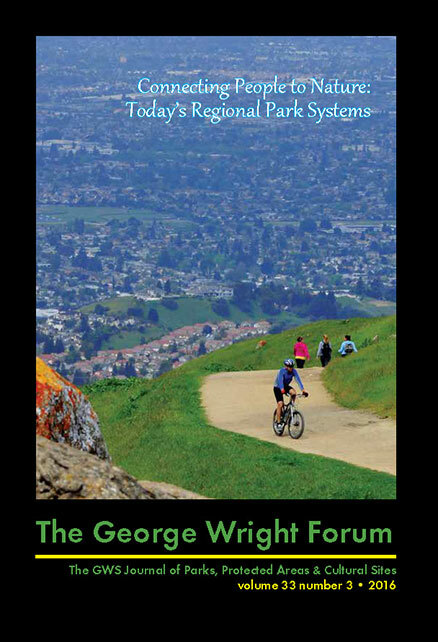 This page is a complete archive of The George Wright Forum, the GWS Journal of Parks, Protected Areas, and Cultural Sites, which was published 1981–2018. Thanks to GWS member Randy Payne for his invaluable help in creating this listing. This is a special issue devoted entirely to a new edition of The National Parks: Shaping the System, the definitive history of the development of the US National Park System. 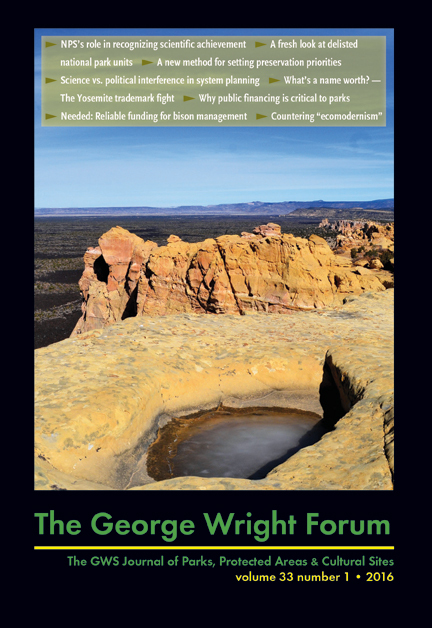 The new edition, the fourth to appear since the book’s original publication in 1985, is by Barry Mackintosh, Janet A. McDonnell, and John H. Sprinkle, Jr.
All articles from back issues of The George Wright Forum are available for free download. Every issue also includes various news items, letters to the editor, conference listings, and the like; these might not be included in the links below. Point Reyes: A Landscape Indivisible? Bridging the Divide Between Nature and Culture in the World Heritage Convention: An Idea Long Overdue? The Best Idea Europe Has Ever Had? Protected Area Governance and Management, edited by Graeme L. Worboys et al. When Will We Really Have a System of National Parks? Rejoinder to "Discernment and Precaution: A Response to Cochrane and Mech"
Last of His Kind? Some Reflections on the Career and Legacy of George P. Hartzog, Jr.
Island Complications: Should We Retain Wolves on Isle Royale? Uncertain Footing on Hallowed Ground? Reviewed by John H. Sprinkle, Jr. The Requirement to Leave Park Resources and Values "Unimpaired"
Are Isle Royale Wolves Too Big to Fail? A Response to Vucetich et al. What Should NPS Tell Visitors (and Congress) about Climate Change? Revisiting the Organic Act: Can It Meet the Next Century's Conservation Challenges? Why is Biodiversity Conservation Important in Protected Landscapes? Information Management: Barrier or Bridge to Integrating Natural Resources Science and Management? What Should Protected Areas Managers Do in the Face of Climate Change? Intangible Values of Protected Areas: What Are They? Why Do They Matter? National Parks as Scientific Benchmark Standards for the Biosphere; Or, How Are You Going to Tell How It Used to Be, When There’s Nothing Left to See? Inside the GWS: Why Should I Join? Wolf Handling at Isle Royale: Can We Find Another Approach? Cultural Resource Management in National Park Service Wilderness Areas: Conflict or Cooperation? Once Again, Why Public Parks? Why Urban Parks: A Matter of Equity? Using Numbers that Count: Information or Revelation? Light Pollution and Marine Turtle Hatchlings: The Straw that Breaks the Camel’s Back? 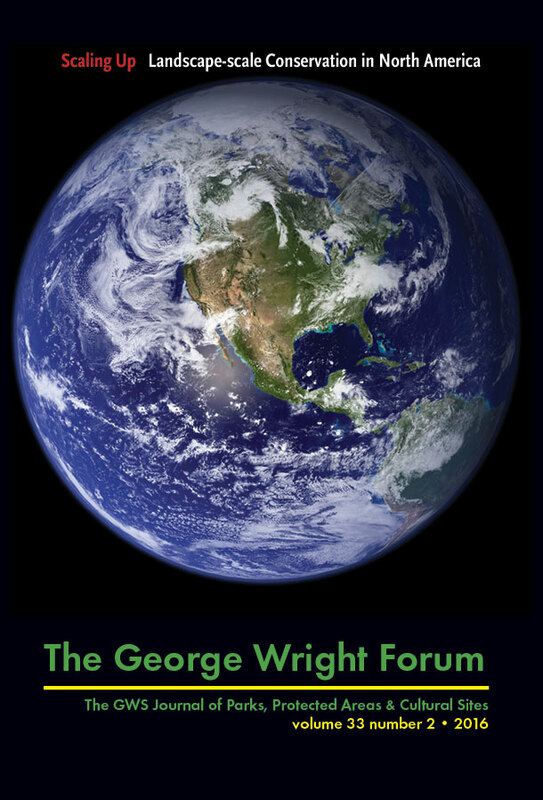 George Wright’s Vision: What Does It Mean Today? The Partnership Between Park Wild Life Management Policy and Landscape Wild Life Management Policy: How Shall We Then Manage? The Four R's as an Rx for the Andes... and Elsewhere? Why Don't Parks and Sanctuaries Protect Marine Fish Too? 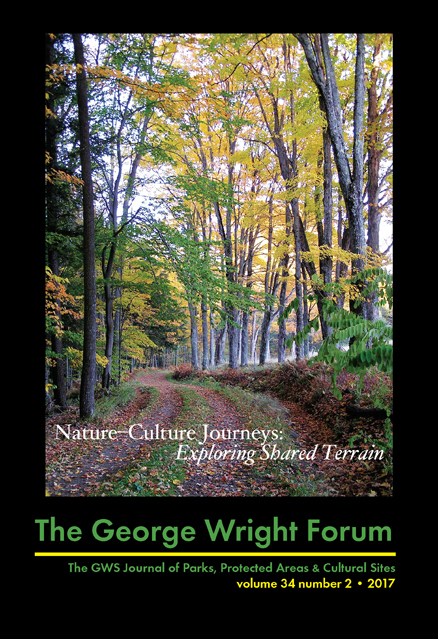 George Washington Birthplace National Monument: A Chesapeake Bay Park—Or, Why Study Nature in the Cultural Environment? 2000: The Year of Maryland State Parks --- and Beyond? Joseph E Brent and William H. Mulligan, Jr.
A Walk in the Park: Fee or Free? In Praise of Platt—Or, What is a 'Real' National Park? "Finding Value in Creatures Great and Small: Just Another Year in Yellowstone National Park"
The Cape Town Declaration on "Parks for Peace"
"Protected Areas, Science, and the 21st Century"
Biosphere Reserves and the "American Land Sovereignty Protection Act"
Statement of the George Wright Society on H.R. 901, the "American Land Sovereignty Protection Act"
Should Wilderness Areas Become Biodiversity Reserves? Is Landscape Preservation an Oxymoron? 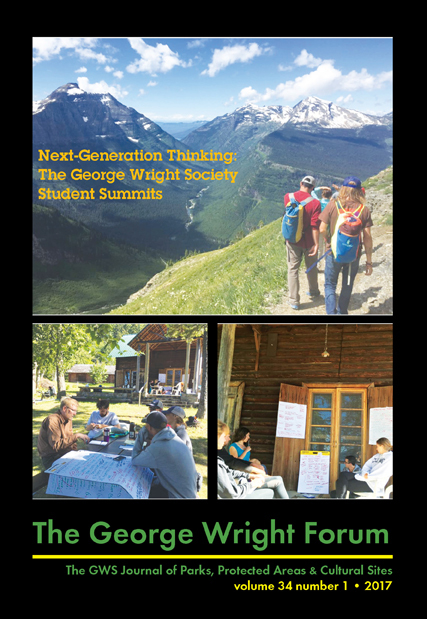 Some Thoughts About "Some Thoughts About...."
A Sustainable Society: What Is It? How Do We Get There? Sustainability, Natural Law, and the "Real World"
Is the USNPS Ready for Science? Can Wildlife Pay for Itself? Peter L. Comanor and William P. Gregg, Jr.
Economic Values of Wildlife and Fisheries: What Importance are Those Values in Decision-Making? America's National Parks and Their Keepers, by R. A. Foresta. 1984. Analyzing Activity Areas: An Ethnoarchaeological Study of the Use of Space, by Susan Kent. 1984. Urban Soils of Washington, D.C.
Natural Resources Management--Trend or Fad? Long-term Research—An Answer to "When are You Going to QUIT?" Are the National Parks in Peril?